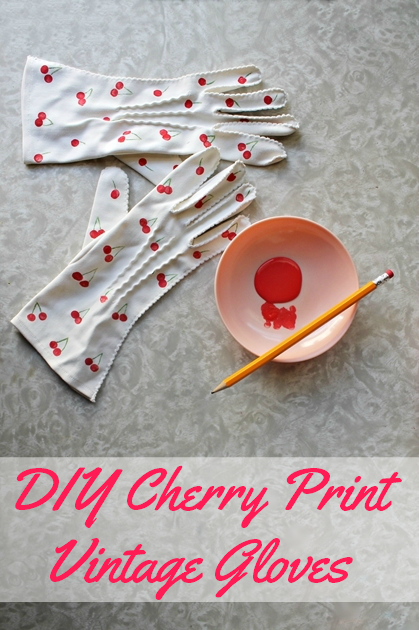 This post was originally a guest post that I wrote for The Vintage Post, which doesn't exist anymore but I was able to find the full tutorial to share again here! 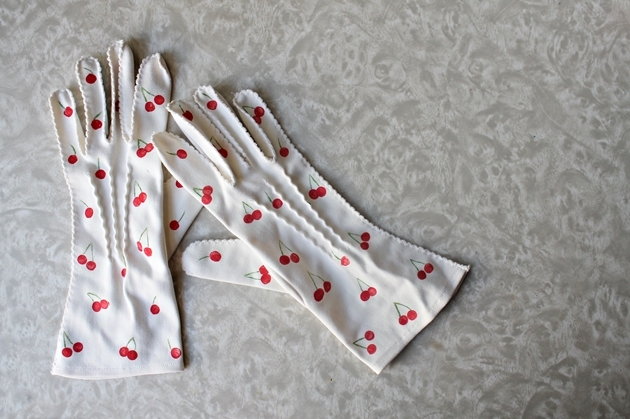 I was organizing my accessories the other day when I realized that I had more white gloves than I actually wear. I’m always on the hunt for unique colors and fun prints but I rarely find them in my size. 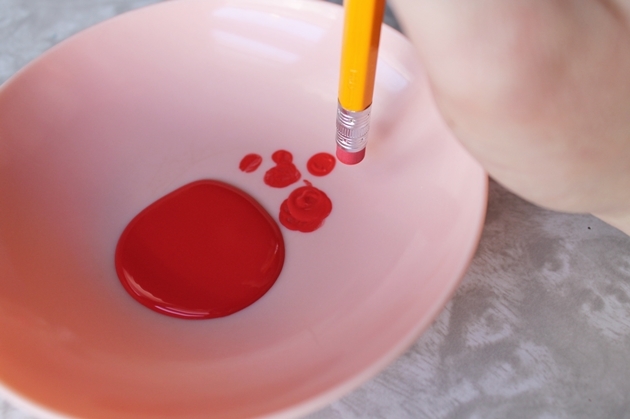 Squeeze a little red paint into a dish and dip just the end of the eraser into the paint. I dabbed some of the excess paint onto the dish. Stamp two circles, next to each other. They can be overlapping or slightly diagonal from each other for a natural placement. Stamp all over the gloves, trying to space them out evenly. 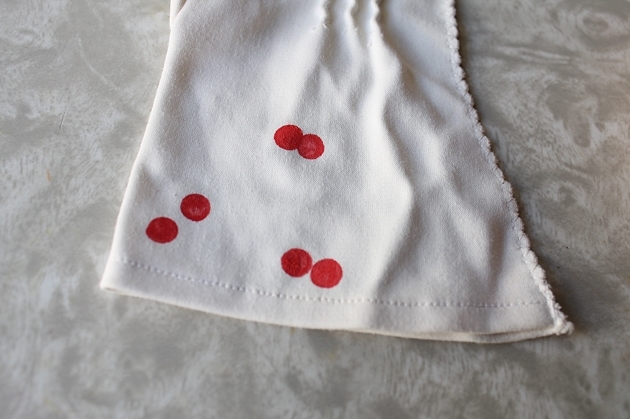 The finger area may be too small for a pair, so I stamped single cherries in this area. 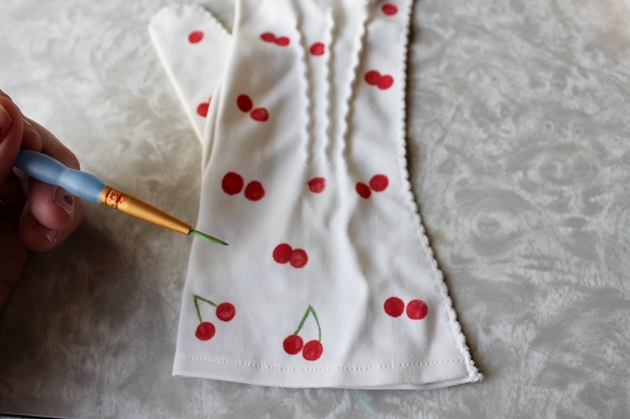 Using your fine paint brush, paint small green lines connecting the cherries to form the stems. Allow to dry completely. 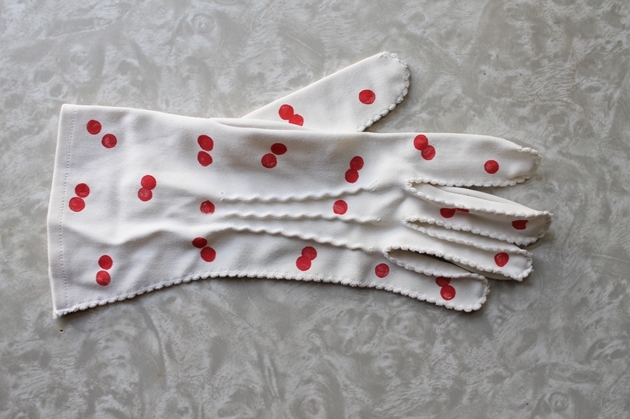 I just stamped the front of my gloves but you could stamp both sides if you like! 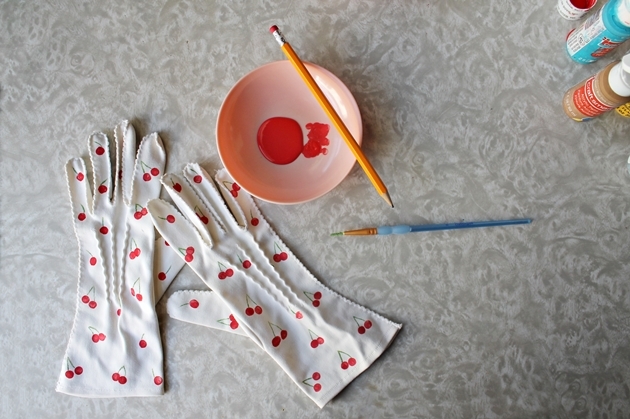 Finish off by heat setting the gloves. 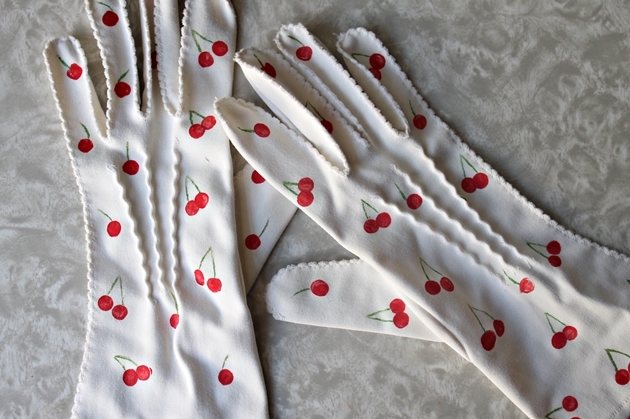 Lay a piece of paper over the gloves and set your iron for the highest setting allowed for your fabric and iron over the gloves. 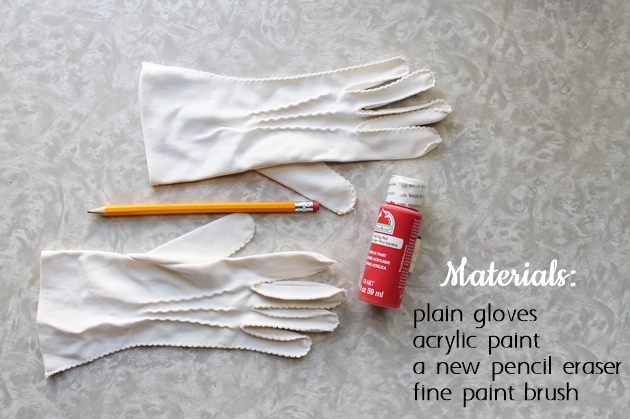 This step will ensure that your gloves can be washed without any problems. Enjoy your cute new accessories!